Weak, loud, productive, raspy, explosive, painful, hacking, irritating, relentless, aching ... coughs come in all sorts of shapes and sizes! 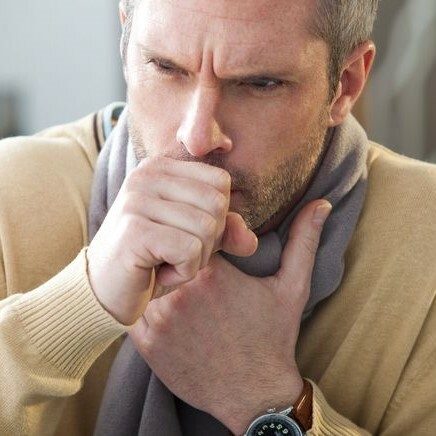 Many people suffer from long term tendency to cold invasion and serial influenza infection. For these people, a chronic tendency to lung infection with productive green or brown phlegm is very common. Chinese Medicine always takes an individualised approach to treatment. It has an elaborate system of diagnostic analysis that adapts to the specific symptoms and body signs that any one person presents. The full range of Chinese Medicine skills including acupuncture, acupressure and Chinese herbal medicine offer a reputable treatment option for the management of bronchitis. Damian Carey, our Doctor of Chinese Medicine, has decades of experience treating patients with coughs and colds. Chronic Obstructive Pulmonary Disease (COPD): Level Three - Weak or Unclear Evidence of Efficacy This level of evidence is applied to conditions that have not yet shown clear, consistent results. Keep in mind that any single study demonstrating a positive effect is insufficient; it is only after a series of consistent studies that science will draw a positive conclusion. And please also keep in mind that ‘lack of evidence of efficacy’ is not the same thing as ‘evidence of lack of efficacy’! Coyle ME, Shergis JL, Huang ET, Guo X, Di YM, Zhang A, et al. Acupuncture therapies for chronic obstructive pulmonary disease: a systematic review of randomized, controlled trials. Alternative Therapies in Health and Medicine. 2014 Nov-Dec;20(6):10-23.